The Hon. Richard Lee Price (ret.) 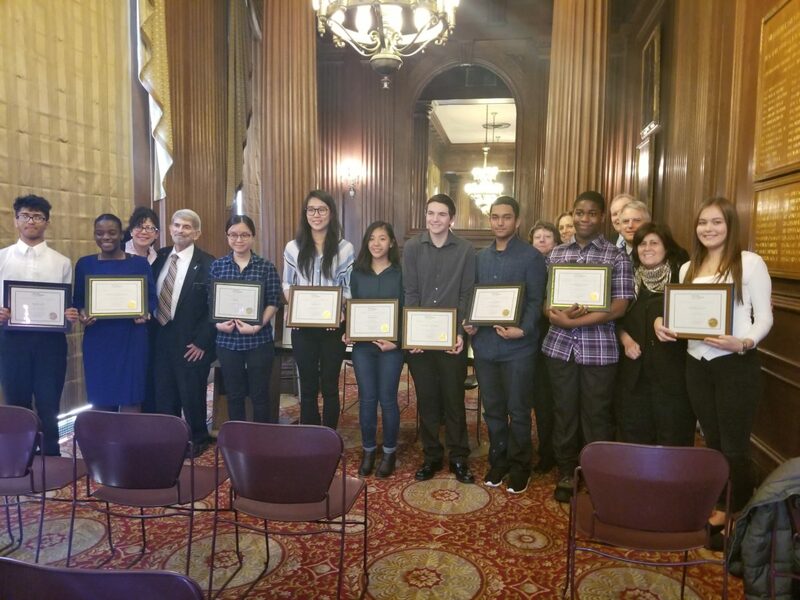 and the Law-Related Education Committee of the New York County Lawyers Association (NYCLA) announced the winners of the 2017 Public High School Essay Contest at an awards ceremony at NYCLA offices on Monday, May 15th. This year’s essay topic was the New York State Constitutional Convention. The top 10 essayists were invited along with their teachers and families. Members of the Law-Related Education Committee were present to congratulate the students and present their awards, including Larry Carbone, Marian Burnbaum, Sue Vairo, Margo Brodie, and Debra Lesser.